Garden, Caesar, Cobb, Antipasto, Pasta, or Spinach. Includes jumbo cookie and focaccia bread. Served with your choice of ranch, balsamic, or caesar dressing. Add 3.00 for grilled chicken. Turkey, Ham, Roast Beef, Chunk White Tuna Salad, and Chicken Salad. Served with penne pasta salad, pickle spear, and jumbo cookie. Served with penne pasta salad, pickle spear, and jumbo cookie. Freshly sliced oven roasted turkey, honey maple ham, seasoned roast beef, chunk white tuna salad and chicken salad. Served with lettuce, tomato, cheese, pickles, sliced breads and wraps. An assortment of our deli sandwiches. 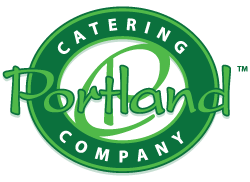 Oven roasted turkey, seasoned roast beef, honey maple ham, roasted chicken breast, solid white tuna salad and roasted chicken salad, made on a variety of fresh baked breads & wraps. A platter of our most popular assorted specialty sandwiches. Crisp romaine, sliced chicken, tomatoes, parmesan cheese and caesar dressing. Crisp romaine rolled with marinated peppers & onions, tomatoes, olives, cucumbers, and feta cheese. Cappicola, pepperoni, salami, marinated peppers & onions, and mozzarella cheese. Fresh roasted vegetables with balsamic dressing wrapped with wild greens. Roasted chicken with portobello mushrooms, lettuce and roasted red peppers. Honey maple ham, havarti dill cheese, sprouts, and tomato served on focaccia bread. Crisp romaine rolled with portobello mushrooms, parmesan cheese, tomatoes and caesar dressing. Seasoned Roast beef wrapped with boursin cheese, lettuce, and tomato. Tender roasted chicken breast topped with a basil pesto, lettuce and tomato. Grilled zucchini, squash, red onions, and red peppers on telera bread. Your choice of solid white tuna salad or roasted chicken salad on telera bread with lettuce and tomato. Turkey, ham, spring mix, avocado, tomato, and sweet honey mustard sauce. Oven roast turkey topped with cranberry sauce and stuffing. Roasted chicken breast with a zesty buffalo sauce, lettuce, tomato and blue cheese dressing.